Kit Laser Cut High Precision (made in Germany), with impressive thermal flight characteristics, built with the latest technology that combines the balsa wood with carbon (leading edge and longerons) the rest of birch plywood, with a fuselage designed to incorporate a battery 3300 mAh 3S LiPo. The kit contains: * Pieces cut with laser precision balsa and plywood. * Main Lorgerons carbon fiber. * Linkage and hinges for articulation of the moving parts. * Small parts and fixings required. * Adhesives color to decorate the model. * Manual in English. * 1:1 scale plan for mounting. 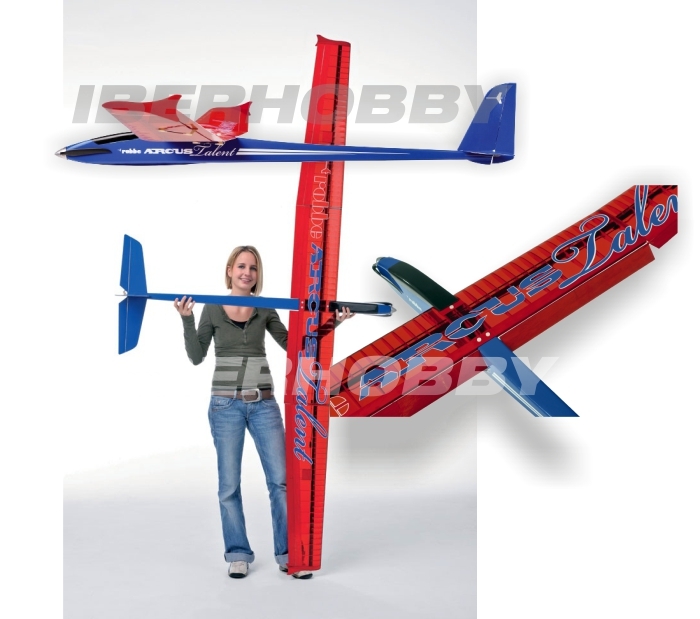 Specifications: Wingspan: 2600 mm. Length: 1470 mm. Wing area: 58 dm2. wing loading by flight: 33 grs./dm2. Operating weight and battery powered flight: 1.950 grs. RC functions: Elevator. Ailerons. Rudder. Flaps. Butterfly airbrake system (flaps + ailerons).